It’s that time of decade again. Time for a new Xbox. It took four years for Microsoft to go from the original Xbox to the Xbox 360. The transition from Xbox 360 to the newly announced Xbox One will take right around 8 years, and the 360 won’t be going away anytime soon either. The console business demands long upgrade cycles in order to make early investments in hardware (often sold at a loss) worthwhile. This last round was much longer that it ever should have been, so the Xbox One arrives to a very welcoming crowd. While Microsoft was light on technical details, I believe we have enough to put together some decent analysis. Let’s get to it. The Xbox 360 was crafted during a time that seems so long ago. Consumer electronics styled in white were all the rage, we would be a few years away from the aluminum revolution that engulfs us today. 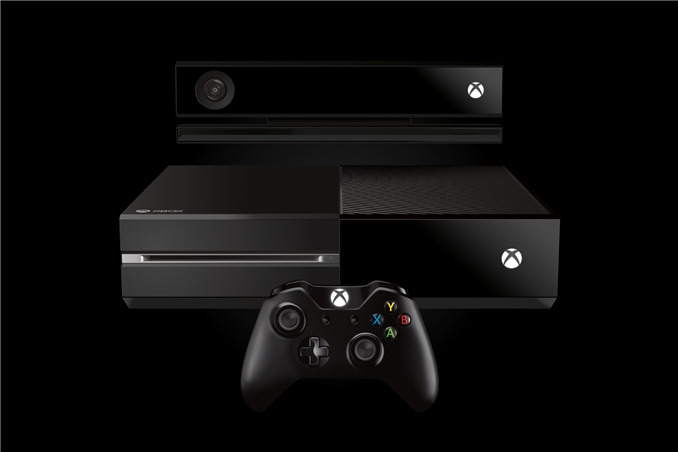 Looking at the Xbox One tells us a lot about how things have changed. Microsoft isn’t so obsessed with size here, at least initially. Wired reports that the Xbox One is larger than the outgoing 360, although it’s not clear whether we’re talking about the new slim or the original design. Either way, given what’s under the hood - skimping on cooling and ventilation isn’t a good thing. The squared off design and glossy black chassis scream entertainment center. Microsoft isn’t playing for a position in your games cabinet, the Xbox One is just as much about consuming media as it is about playing games. In its presentation Microsoft kept referencing how the world has changed. Smartphones, tablets, even internet connectivity are very different today than they were when the Xbox 360 launched in 2005. It’s what Microsoft didn’t mention that really seems to have played a role in its decision making behind the One: many critics didn’t see hope for another generation of high-end game consoles. With so much of today focused on mobile, free to play and casual gaming on smartphones and tablets - would anyone even buy a next-generation console? For much of the past couple of years I’ve been going around meetings saying that before consolidation comes great expansion. I’ve been saying this about a number of markets, but I believe the phrase is very applicable to gaming. Casual gaming, the advent of free to play and even the current mobile revolution won’t do anything to the demand for high-end consoles today or in the near term - they simply expand the market for gamers. Eventually those types of games and gaming platforms will grow to the point where they start competing with one another and then the big console players might have an issue to worry about, but I suspect that’s still some time away. The depth offered by big gaming titles remains unmatched elsewhere. You can argue that many games are priced too high, but the Halo, BioShock, Mass Effect, CoD experience still drives a considerable portion of the market. The fact that this debate is happening however has to have impacted Microsoft. Simply building a better Xbox 360 wasn’t going to guarantee success, and I suspect there were not insignificant numbers within the company who felt that even making the Xbox One as much of a gaming machine as it is would be a mistake. What resulted was a subtle pivot in strategy. Last year you couldn’t throw a stone without hitting a rumor of Apple getting into the TV business. As of yet those rumors haven’t gone anywhere other than to point to continued investment in the Apple TV. Go back even further and Google had its own TV aspirations, although met with far less success. More recently, Intel threw its hat into the ring. I don’t know for sure how things have changed with the new CEO, but as far as I can tell he’s a rational man and things should proceed with Intel Media’s plans for an IPTV service. All of this is a round about way of saying that TV is clearly important and viewed by many as one of the next ecosystem battles in tech. Combine the fact that TV is important, with the fact that the Xbox 360 has evolved into a Netflix box for many, add a dash of uncertainty for the future of high end gaming consoles and you end up with the formula behind the Xbox One. If the future doesn’t look bright for high-end gaming consoles, turning the Xbox into something much more than that will hopefully guarantee its presence in the living room. At least that’s what I suspect Microsoft’s thinking was going into the Xbox One. With that in mind, everything about the One makes a lot of sense. I replied to you on twitter that this is 28nm SoC. You asked for "source". Don't be absurd. One, this is nothing new. The Xbox 360 used embedded eDRAM, and other consoles have before it.